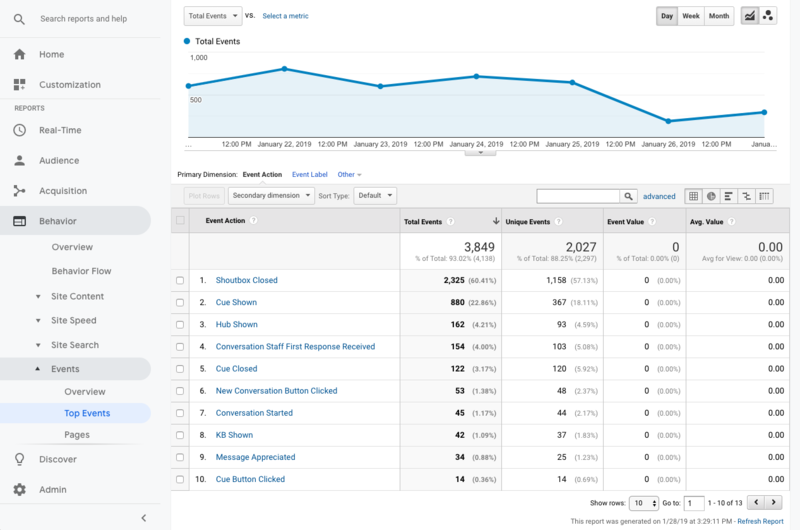 If you'd like to get basic metrics for the performance of your Re:amaze Shoutbox or Chatbox and the FAQ, Google Analytics should be your go-to tool. 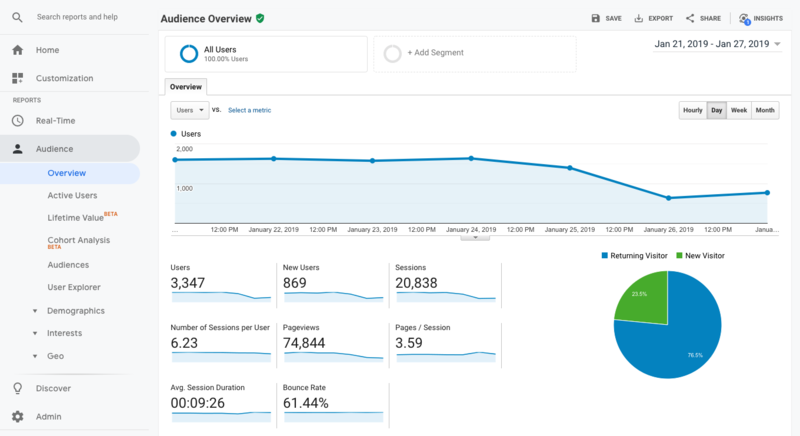 Since Re:amaze isn't really an analytics platform, we rely on better and free tools like Google Analytics to help provide you with this data. To measure performance and gather real time metrics for your Re:amaze FAQ, you'll want to add a Google Analytics Tracking ID to your FAQ. To do this, go to Settings > Brands > See All Settings > Custom Analytics. This is useful for tracking the most popular articles and search terms on FAQ. To receive a Google Analytics Tracking ID, you'll first want to create a separate property on Google Analytics so you can keep the data separate from your other website or app properties. You can create a new property by going to your Google Analytics Admin and click on the "+ Create Property Link". Once complete, Re:amaze will start sending analytics metrics to this Google Analytics Tracking ID. If you're curious about how customers are engaging with your embeddable chat widget for real time messaging, classic live chat, or Cues, Google Analytics is the perfect tool for this too! This is automatically done as long as you have a Re:amaze embeddable widget and Google Analytics installed on your site or app. To see what events are possible for you to track in Google Analytics, see https://www.reamaze.com/developer/analytics. You can view the automatically recorded events under Google Analytics' "Behavior" report and "Top Events" report.